This morning, we kicked off a live resistance strength training circuit with Excy to focus on upper body and core strength. 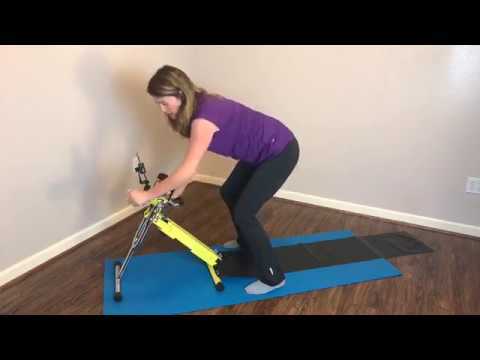 We definitely get into some tough moves with Excy as an upper body ergometer / hand bike, but also some easy ones. Either way, don’t worry — we’re not talking about professional bodybuilding. 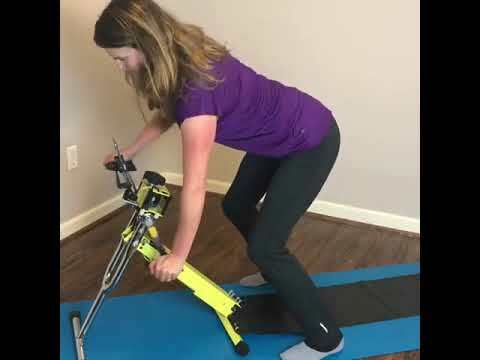 We are simply talking about a combination of weight bearing exercises that use both your bodies own resistance, as well as resistance offered in the Excy system which offers a bi-directional range of 2 to 70 pounds. There are so many benefits to resistance strength training, from increasing the strength of bones, muscles and connective tissues (tendons and ligaments), to lowering risk of injury, to also increasing muscle mass to make it easier for your body to burn calories. The American Heart Association suggest performing strength training exercises at least two times per week, with a minimum of two days of rest between workouts. But, they also suggest that training more frequently or adding more sets may lead to slightly greater gains. So often we simply focus on building cardio conditioning, but it’s important to also focus on strength training, especially as we age and having the extra strength can be critical in reducing the likelihood of falling, but also making it easier to do things like carry grocery bags, pick up and hug the grandkids, and take care of household shores. Age-related muscle loss, called Sarcopenia, is a natural part of aging. After age 30, you begin to lose as much as 3% to 5% per decade. Most men will lose about 30% of their muscle mass during their lifetimes. A 2015 report from the American Society for Bone and Mineral Research found that people with sarcopenia had 2.3 times the risk of having a low-trauma fracture from a fall, such as a broken hip, collarbone, leg, arm, or wrist. It takes dedication and commitment, but it is never too late to rebuild muscle and maintain it. Don’t forget the Excy Mobile Coach for on-the-go training and to track results!